Watching games on Wednesday night (although I mainly watched the Royals since it was their season finale), and the incredible finish to the regular season, it reminded me of a season the Royals had a dramatic finish. Actually, it was 1976, 35 years ago today, that the Royals punched their ticket for the organization’s first trip to the postseason. 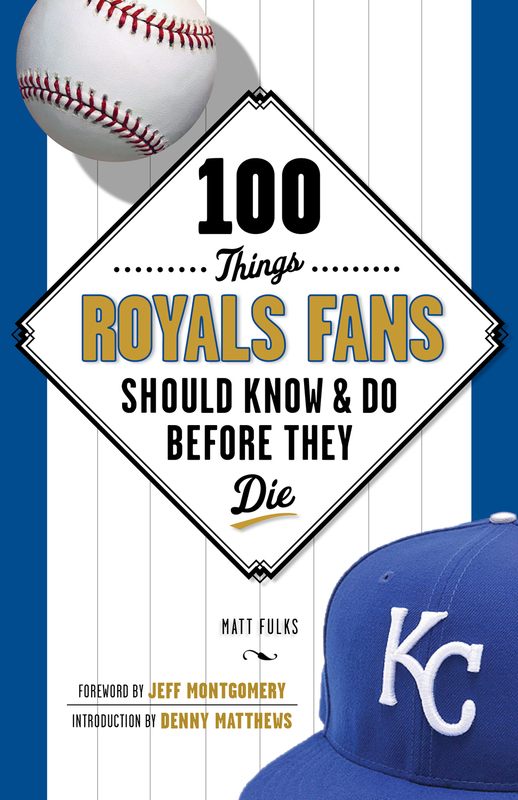 So, in honor of that, here is a reprint of an article that appeared in the Kansas City Royals’ Gameday magazine. In a championship season, especially in baseball, it’s usually difficult to point to one game as a turning point or the key contest. That’s not the case with the 1976 Royals. Ask nearly any member of that club their memory of 1976 and, without hesitating, they’ll point to a late September game against the Oakland A’s. That game happened on Wednesday night, Sept. 29, in Oakland. The A’s had been dominant since, basically, leaving Kansas City. They’d won the Western Division, 1971-75. The Royals had been competitive for a few years, but they were young and still learning how to win. “Oakland always beat us and they knew they could beat us,” said Royals Hall of Fame shortstop Fred Patek. Most recently, in 1975, when the Royals finished with a then-club-record 91 wins, but finished second to Oakland. 1976, though, seemed to be different. The Royals grabbed their first lone lead in the division on May 19. They stretched it to as many as 12 games as late as Aug. 6, behind great pitching from Dennis Leonard, Al Fitzmorris, Doug Bird and Paul Splittorff, plus a tough lineup that included Otis, George Brett, John Mayberry, Hal McRae and Al Cowens. But something happened. The Royals struggled mightily down the stretch. After a five-game winning streak in the middle of September, the club fell apart. Heading into the final road series, at Oakland, the Royals had lost four out of five. Then, they dropped the first two against the A’s. Suddenly, that 12-game lead in the division was down to 2 1/2 with four remaining. So, on Wednesday, Sept. 29, manager Whitey Herzog pulled a couple rabbits out of his cap. He started pitcher Larry Gura and back-up catcher John Wathan. He also started Otis in centerfield. Otis, who had been beaned in the head two weeks earlier by Oakland pitcher Stan Bahnsen, was benched for those first two games. Along with a four-hitter by Gura, Otis had an RBI double and a two-run home run as the Royals won 4-0. “I was fortunate, as always, that the pitcher hit my bat with the ball and it went all the way out of the ballpark,” Otis said, laughing, of the home run. The win clinched at least a tie with the A’s for the division title. They went on to earn the championship outright a couple nights later. Getting past rival Oakland helped start a new rivalry with the New York Yankees, which began during that postseason. In the best-of-five American League playoffs, the Yankees beat the Royals in a heartbreaking fifth game, when Chris Chambliss hit a walk-off home run over the outstretched glove of Hal McRae. In spite of the disappointing loss to the Yankees, the 1976 season set the Royals on a decade-long stretch of championship baseball. From 1976-85, the Royals won the Western Division six times and made two trips to the World Series, including the championship over St. Louis in 1985. And, in many ways, it all started with that one September game against Oakland in 1976. If, for whatever reason, you want to follow Matt on the Twitter, you can: @MattFulks. Or, feel free to visit his website, www.MattFulks.com. There’s even a “Matt Fulks – Author” page on Facebook that Matt actually didn’t start. And, even more amazing, it has 4 fans!